Hundreds of people participated in protests over the weekend in Madison, Wisconsin after a police officer gunned down an unarmed nineteen-year-old on Friday. Anthony Terrell Robinson, Jr. died after Matt Kenny, a twelve-year veteran of the Madison Police Department (MPD), forced his way into Robinson’s home and fatally shot him. Just hours after the shooting, at least 150 demonstrators gathered near Robinson’s home. The crowd was addressed by relatives of the youth, who said that they were barred from seeing him at the hospital. Kenny was involved in another fatal police shooting in 2007, which was declared to have been a “suicide-by-cop.” The officer received a commendation of valor for his participation in the 2007 shooting. According to his family, Robinson was preparing to attend Milwaukee Area Technical College to study business. Authorities declined to reveal how many shots were fired or other details of the incident pending the release of a report by Wisconsin’s Division of Criminal Investigation. Police said Kenny was investigating calls that Robinson was jumping into traffic and had “hit one of his friends.” Police Chief Koval claimed that Kenny heard a “disturbance” coming from within Robinson’s upstairs apartment, forced entry, entered “mutual combat” with Robinson in which Kenny received a “blow to the head,” and then drew his pistol and shot Robinson multiple times. Following the shooting, Kenny was placed on paid administrative leave. 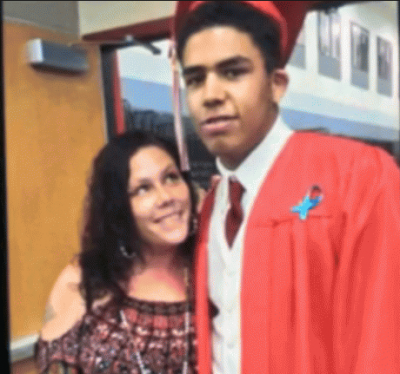 Andrea Irwin, Robinson’s mother, said in an interview with a local television station that the police killing of Michael Brown in Ferguson, Missouri last August had deeply affected her son. Robinson is the 192nd person to be killed by police in the US so far this year. Just since his death, four more people have been killed by police, according to killedbypolice.org, a site that tracks media reports of police killings. This reign of police violence, which has prompted popular outrage nationwide, has been sanctioned at the highest levels of the state. This has taken the form of a refusal of officials at the local, state and federal levels to prosecute officers responsible for the deaths of unarmed individuals, overwhelmingly poor and working class. Robinson’s murder came just two days after the US Justice Department said it would not bring charges against Darren Wilson, the Ferguson police officer who killed unarmed teenager Michael Brown on August 9, triggering weeks of protests in the St. Louis suburb and around the country. On Friday, the same day Robinson was killed, President Obama declared that he had “complete confidence” in and stood by “the decision that was made by the Justice Department” not to bring federal civil rights charges against Wilson. Obama, a former professor of constitutional law, knows full well that the standard for charging someone with a crime is “probable cause,” a far lower bar than the proof “beyond a reasonable doubt” required to convict a defendant. The fact is, Wilson and other police involved in recent killings have not been charged, and the standard Obama set forth—certainty of guilt, something that under the US Constitution is to be determined at trial—all but precludes the prosecution of any killer cop.